It isn’t always easy having a purple, port-wine stain birthmark that covers my face. People aren’t always kind, there’s lots of medical stuff involved, and I’ve had my fair share of struggles. But y’all…There are also so many perks. 1. It makes my eyes pop. Seriously. The darker it is, the more amazingly blue my eyes look. I believe God perfectly color-coordinated my eyes and birthmark together. “Oh wow, I’m surprised you remember me.” I replied. 3. I have more birthmark jokes than I can keep track of. For example: I color coordinate what I wear to match my face. If it dares to clash, it goes in the trash. (Well, the mental one anyway. I wouldn’t be wasteful.) But you’ll see a handful of the jokes in this entry, if you haven’t already. 4. Kids are the best, and definitely my favorite kind of people. They are so genuine and are often trying to learn how to be curious in a kind way. But while they learn how to do that, I’m often found with a great story and laugh to accompany it. …Then that kid tried to reach up and touch my face. …And trust me. There’s way more where those came from! Looking up, I saw a beautiful African American gal beaming with excitement. Sharing a bit of her story, she told me, “Middle school was especially hard for me, but you get through it. I used to know a caucasian girl with a matching birthmark, and we called ourselves ‘salt and pepper’ because we matched so perfectly. I’m so glad that I noticed your birthmark!”…And I’m glad she noticed it too.The waitress and I are total strangers, yet we have similar stories which resulted in an instant bond. I’ve learned that just because you don’t see a birthmark on someone, it doesn’t mean they don’t understand your journey. So many people choose to cover their birthmarks with makeup, or they are a parent of a child with a birthmark. 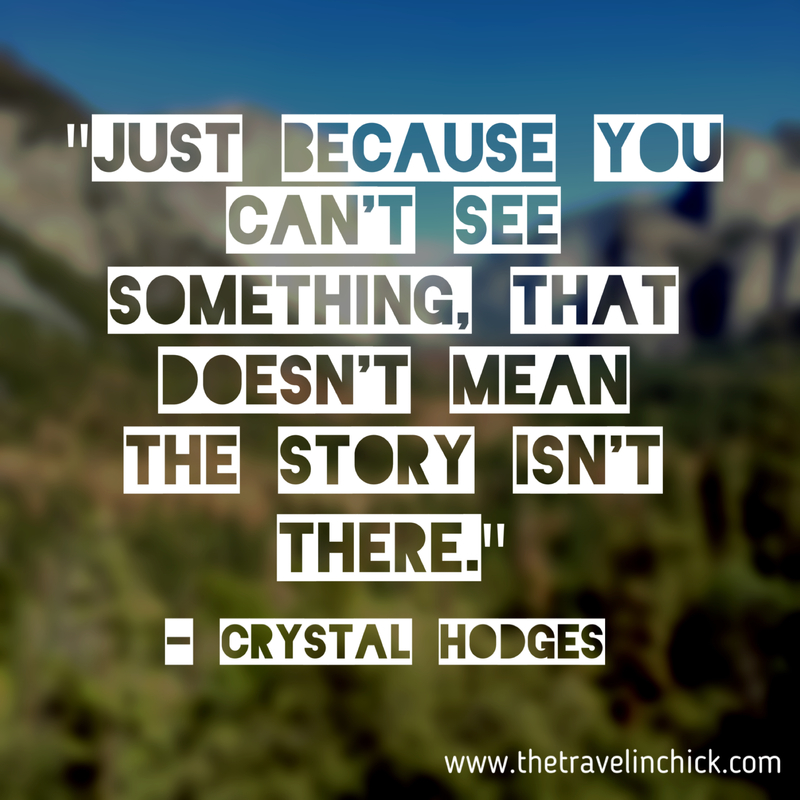 Just because you can’t see something, that doesn’t mean the story isn’t there. 6. After 25 years, I’m basically a birthmark, medical pro. I may not have a medical degree, but I’ve quickly realized I know way more about vascular birthmarks and Sturge-Weber Syndrome (a rare condition that tags along with my port wine stain) than the doctors I’ve encountered. There’s always more to learn, and I don’t know everything — but 99.999 percent of the time, I feel extra smart walking into a doctor’s office. Yes, I have a lot of painful memories and experiences around my birthmark. However, I get to see the side of people many don’t get to see. When people react to my birthmark, whether it’s kind or unkind, I try to engage in a conversation with them. Many of the people who are initially unkind are willing to learn about my condition and story, while also hopefully changing for the better. But, some people aren’t willing, refusing to go beyond what they see. My birthmark has helped protect me from the get-go from cruel people focusing on superficial things. 8. I really like the color purple. It’s not my all-time favorite color of the rainbow, but I do like it a lot. I’m so glad the color I walk around with every day on my face is a color I really like. In a way, it’s like a free accessory given to me at birth so I can rock it the rest of my life. 11. I’ve learned a lot, and I continue to learn important things. I’ve learned about kindness, respect, and how to treat others — no matter what they look like, or don’t look like. I’ve learned about compassion, confidence, and realizing there’s so much more than what we see. Everyone has a story. 12. Having a birthmark on my face isn’t always easy, but I have the privilege of helping others learn important lessons in a unique way. I’m literally a walking billboard for life lessons for thousands of people — while still learning many myself through these interactions. If you have a birthmark and have a #BirthmarkWin you’d like to share, write it in a comment below. Tweet it out. Instagram it. I’d love to hear what you love about your birthmark.